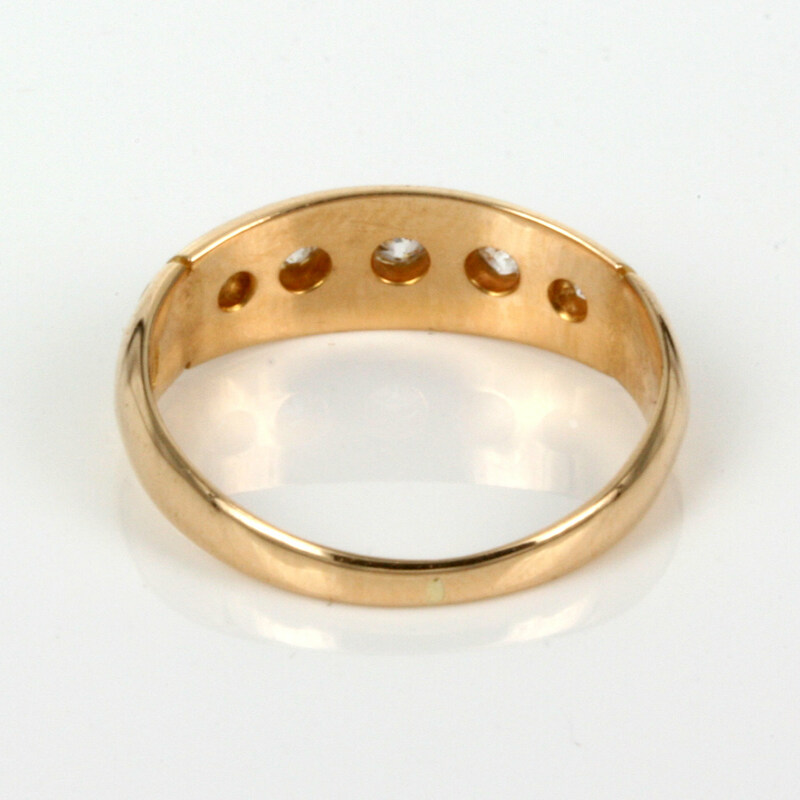 Product code: ES2615 Categories: Sold Items, Sold Rings. 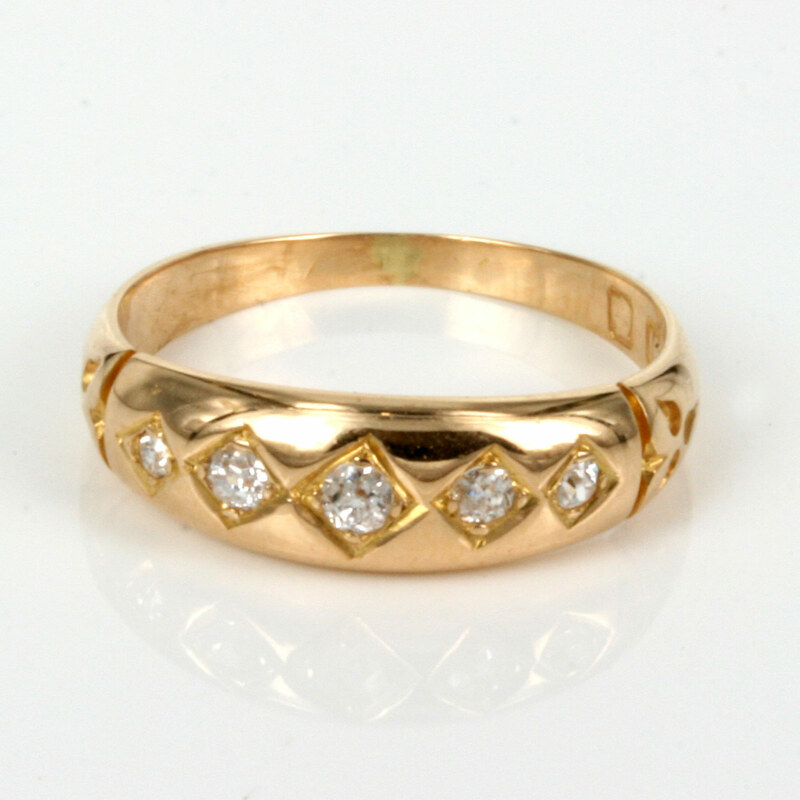 This is such an attractive antique diamond ring made in 18ct yellow gold in 1888 yet still has such a modern look to it. Set with 5 diamonds that totals 0.16 carats in a very easy to wear setting with the diamonds set into the band, this is a very elegant example of an antique diamond ring for any occasion including as an engagement ring. The ring measures 5.5mm wide at the top and graduates to 2mm wide at the end and will always be loved.